Great to renovate or rent out immediately! One bedroom, 1 1/2 bath with 835 sf. Desirable waterfront TOWER 41 on Miami Beach. Established building with wonderful community atmosphere. Arrive to covered drive with valet service, 24/7 security, manned lobby welcome desk. Five high-speed elevators whisk you to your westerly-facing home where you can enjoy incredible sunsets from your balcony. Ample living space with living room & dining room combination. Large guest powder room. 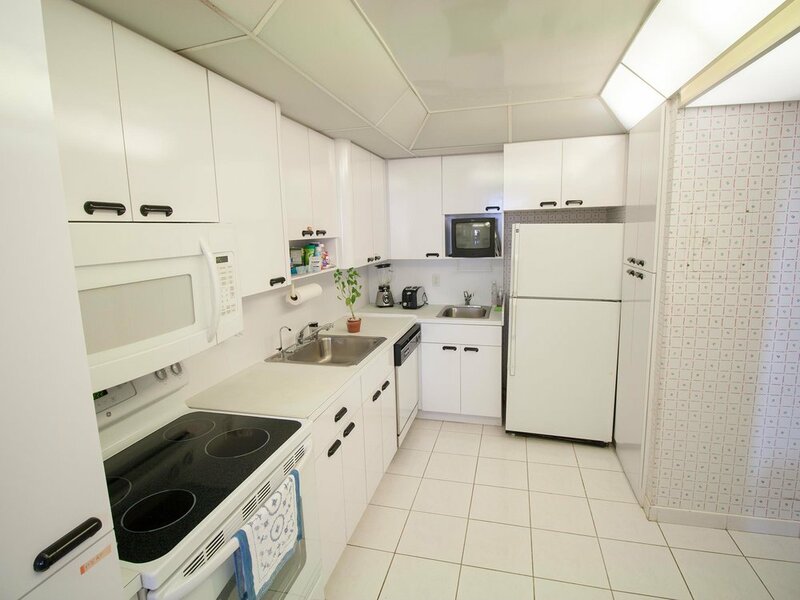 Eat-in kitchen with two sinks. The building has everything! Laundry on each floor. Heated pool, sundeck, tennis court, large kids playground and more all at water’s edge! Inside enjoy huge meeting hall, kids’ play room, card room, gym/sauna (separate for men and women) and House of Worship (shul). There’s even a Kosher gourmet restaurant for take-out and holidays. A few short blocks to Collins Ave, the ocean, shopping, restaurants and more. Everything you’ll ever need within just a few minutes reach!